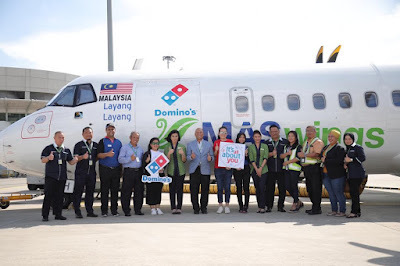 Domino’s Pizza Flies High with MASwings Inks MoU as First QSR to Serve Pizzas to Passengers | Recently marks a momentous occasion for pizza lovers and flight users all over Sabah. Domino’s Pizza and MASwings Sdn. Bhd. (MASwings) inked a Memorandum of Understanding (MoU) for various initiatives to be undertaken in collaboration especially for the land below the wind. As at Q2 2017, Domino’s Pizza Malaysia is the largest Domino’s market in Southeast Asia and fifth largest in Asia Pacific. Established in 1997, Domino’s Malaysia is managed by master franchise holder, Dommal Food Services Sdn Bhd. To date, there are 226 Domino’s Pizza stores in the country. 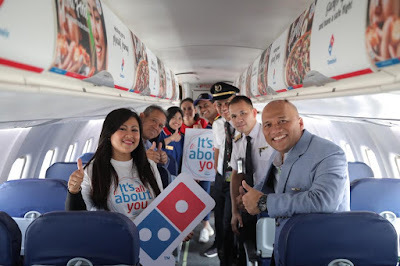 Domino’s is the award winner of the 2009, 2010, 2011, 2012 and 2016 Gold Franny Award, a distinguished Achievement Award of the International Franchise Association at the Domino’s Pizza Worldwide Rally. In a show of confidence by Malaysian consumers, Domino’s Pizza won Bronze in the “Restaurant & Fast Food" category of the prestigious Putra Brand Awards 2014, Silver in 2015, Bronze in 2016, Silver in 2017 and Bronze in 2018. MASwings, East Malaysia’s first commuter airline, caters to the air travel needs of Sabah and Sarawak’s travellers by providing affordable fares, convenient schedules and connections within and across the two states in Borneo as well as FT Labuan. It supports the aspirations of Sabah, Sarawak and FT Labuan and contributes to the socio-economic development of the region. 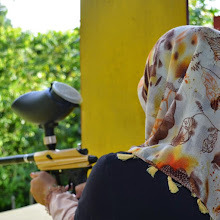 MASwings also serves destinations in the BIMP-EAGA region such as Brunei and Tarakan (Indonesia). The airlines’ six DHC-6-400 Twin Otter aircrafts operating out of Miri, form the Rural Air Services, providing a vital lifeline to some of the remotest rural communities in Sarawak. They fly regular scheduled services to 11 rural STOLports (STOL short take-off and landing) many of which are inaccessible by road. Being a subsidiary of the Malaysian Aviation Group, MASwings also links with Malaysia Airlines Berhad for greater global connectivity. MASwings was first incorporated on 17 May 2007. It was officially launched and started operations on 01 October 2007. As of today, MASwings serves a total of 24 destinations including into and out of Brunei from Kota Kinabalu on code sharing. 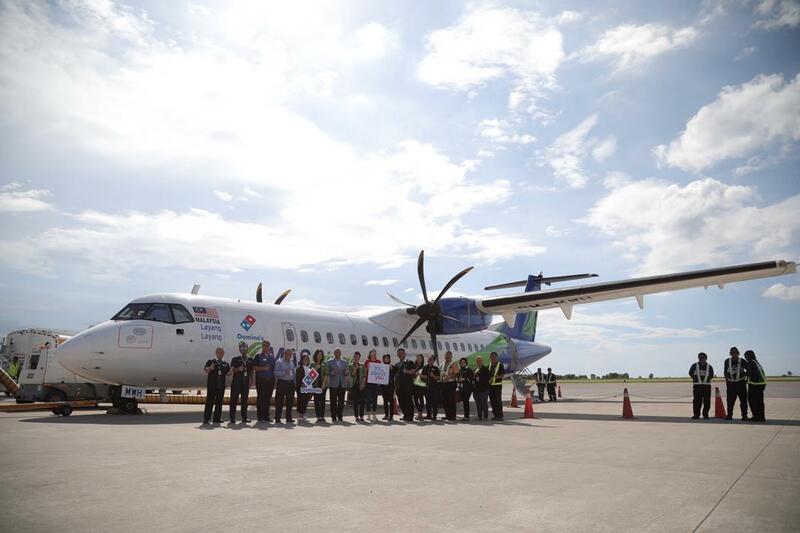 MASwings fleet includes 10 ATR 72-500 and 6 DHC-6-400 Twin Otter aircrafts and is supported with a total staff strength of closed to 438 throughout the whole Sabah, Sarawak and WP Labuan. MASwings being the airline for the people of Sabah, Sarawak and FT Labuan celebrated its 11th year of operations last October this year. At this young age of operations, MASwings is proud of the recognition and accolades awarded to date such as Sabah State Special Tourism Minister Award (2013), Sarawak State Hornbill Special Award (2013), Certificates From Viking Air Limited and Pratt & Whitney for MASwings Viking Twin-Otter (2017) and recently two awards from the Malaysia Book of Records (2018) for MASwings under the purview of Ministry of Transport Malaysia being the Rural Air Services (RAS) operator. Good collaboration to expand business..